It could be bitcoin, a cryptocurrency that everybody seems to be talking about. It’s no wonder. Bitcoin emerged this year as the world’s fastest-growing asset, catching headlines in the media and generating buzz on social media. And why not? The value of a single bitcoin hit a record of nearly $17,749 in the second week of December, according to Coinbase, a San Francisco-based platform for holding and trading digital currencies. That’s up from about $780 on January 1, 2017 — a gain of 2,175 percent. A lot of people are kicking themselves for not getting in earlier, and many more are wondering what the fuss is all about. For the unversed, bitcoin is the first and biggest of what are now more than 1,000 digital currencies, also known as cryptocurrencies. Bitcoin, as well as ethereum, litecoin, zcash and the many others, are tradable and unanchored by a central bank, unlike traditional currencies like the dollar and yen. 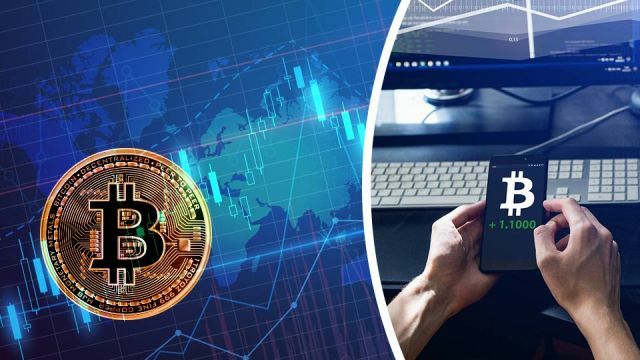 The idea for bitcoin came in response to the 2007-2008 financial crisis, which left many people disenchanted with the financial system for high fees and a credit crunch that cost some people their homes. A white paper in 2008 outlined the design of bitcoin, published under the pseudonym of Satoshi Nakamoto, an individual or group of individuals who have yet to release their identity. Bitcoin was released to the public in 2009 and gained legitimacy in 2010 as merchants like Expedia and Microsoft started accepting it for payments. To get bitcoin, some people “mine” for it with their computers by solving difficult mathematical equations. An easier way is to buy and sell bitcoin over exchanges such as Coinbase as well as Bitstamp, Huobi, Kraken, LibertyX and Xapo. Some of them also provide digital wallets to hold the bitcoin like a savings account. Or you can do that with digital wallet specialists like Airbitz, Bitreserve and Circle. By far, the easiest way to acquire bitcoin, we have found, is through Coinbase. The setup is pretty simple for these services: create an account and link your bank account or your debit or credit card to exchange money into and out of your local currency to buy and sell on the platform. But why get into it? Let’s look at four reasons to own bitcoin and a few ways you can use it. If you bought 100 bitcoin at the start of 2017 for around $780 each, your investment of $78,000 would be worth around $1.64 million today, based on a bitcoin value of $16,411 on December 14. Some forecasts suggest bitcoin can still go up, maybe by a lot, and that is a good reason to buy. Others are skeptical. The surge of nearly 2,000 percent in 2017 has several would-be investors wondering if it has peaked, and some pundits warning of a collapse in the vein of the dot-com crash of 2000. The biggest risk is on the regulatory side. China, where about a quarter of all bitcoin trades take place, suspended trading of the currency in 2013, and then this past September told exchanges like BTCChina to stop trading on concerns that swelling demand for bitcoin could spark a financial crisis. This has led to sharp drops in bitcoin, albeit temporarily. Some of the soundest advice for investing is to diversify your holdings, i.e. don’t put all of your eggs in the same basket. If you already own bonds and stocks, it could be good to put a little on some riskier assets that may fetch higher returns as long as you don’t mind losing the money. If you’ve got a lot of big U.S. companies in your portfolio, you can lower your risk and boost your overall returns by adding foreign bonds and stocks, as well as small-cap U.S. stocks and maybe even a few bitcoins. No matter what happens with bitcoin, it’s widely expected that cryptocurrencies will become more common in the future. In April, Japan legalized bitcoin as a method of payment, and Russia has said it is considering regulating its use. The Chicago Mercantile Exchange launched bitcoin derivatives on December 18, making it possible for hedge funds to get in the market to bet on the future value of the currency. Singapore is testing technology to issue its own cryptocurrency in 2018, and Estonia has said it is looking into the possibility. The benefit is that it’s cheaper to do transactions than through a traditional banking system. “That is perhaps the future,” said Martín González, a programmer and cryptocurrency enthusiast in Buenos Aires. Bitcoin and other such currencies run on blockchain, which is perhaps more exciting than the cryptocurrencies themselves. Blockchain is a technology for keeping records, a sort of public ledger. Every bitcoin trade is registered on this ledger as a line, such as new data on a spreadsheet. With the same technology, other transactions can also be done and verified simultaneously, all faster and cheaper than through a clearance and settlement process like what happens today on stock markets. The Australian Stock Exchange (ASX) said in December it will use blockchain to track transactions and settlements. González believes that with blockchain it would be cheaper and more efficient to process micro- or even nano-payments now unfeasible because of high processing fees, such as buying a single article on the internet for $0.10. “This opens up a whole new way of rewarding the creator of the work,” or for making payments, such as a “smart” car paying for its own parking space, he said. So, you buy bitcoin. But what can you do with it? Restaurants and shops have started to accept bitcoin, and services like iPayYou.io, a Seattle-based bitcoin payment platform, allows you to use your bitcoin to shop on Amazon. However, with the price always seeming to go up (with a few slumps), it’s more likely that people will hold bitcoin as an investment with the hope of good returns, and that is a reason behind some of the warnings against bitcoin. That’s not certain yet, but if it continues to rise, there is a chance to make more than a few bucks and learn about what could be the future of currency. Next articleThese Robots Are Making Homeless People Move, But Is It Humane?